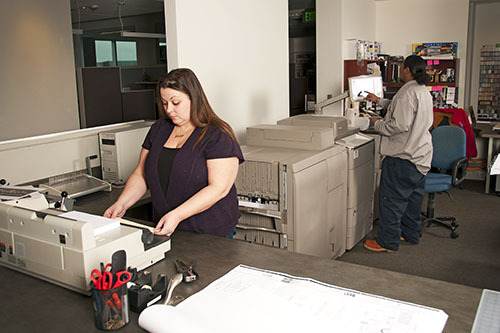 BlueStreak Services uses modern, high speed reproduction equipment to provide clients with distinguished large and small format documents in color or black and white. BlueStreak Services also offers a variety of electronic services for your project needs. 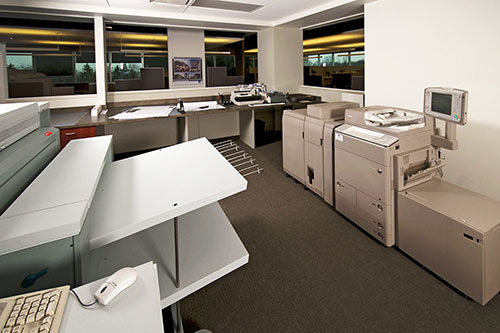 Specializing in construction document printing, BlueStreak Services provides high speed printing for projects of any size or quantity. With a variety of paper stocks, finishes and large custom sizes, BlueStreak Services provides high quality prints for your projects. Use our FTP site to send and receive large files. BlueStreak Services provides high speed black and white printing on a variety of paper sizes and stocks, ideal for spec books and reports. BlueStreak Services provides presentation quality prints for any project, ranging from architectural renderings to custom invitations. Options include a variety of paper sizes and stocks. 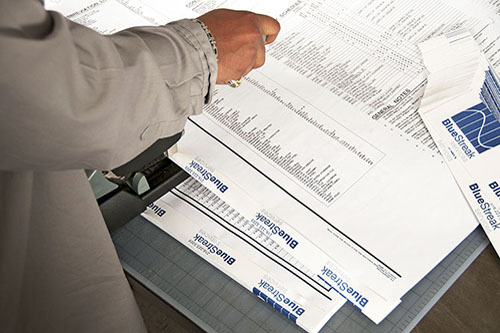 BlueStreak Services provides a variety of finishing services including foam board mounting, binding and lamination.